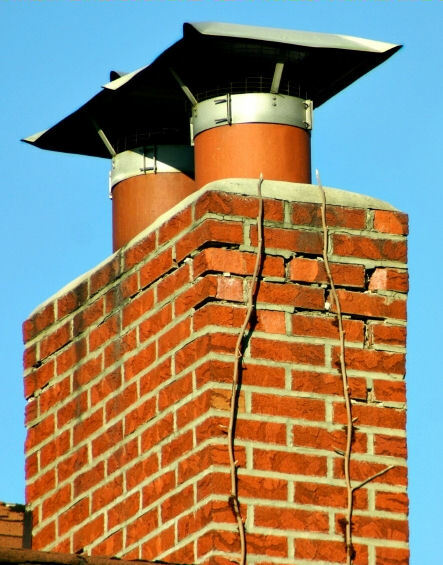 A cracked chimney is a hazardous problem for the residents of any home and should be evaluated by a professional as soon as possible. Cracked chimneys could mean smoke and flue gases leaking into your home and cause carbon monoxide poisoning or fire hazards. There is also the possibility of the chimney collapsing if the cracks are significant enough. Over time the cracks will definitely worsen and be a bigger liability. Call us today 1-877-952-7425 to help fix your chimney cracks so you can have peace of mind knowing your chimney is functioning safely and not endangering you and your family.